We couldn't resist a mini version of the popular shoulder pochette, with extra leather trimmings and details. Light as a feather you won't even know you're wearing it. 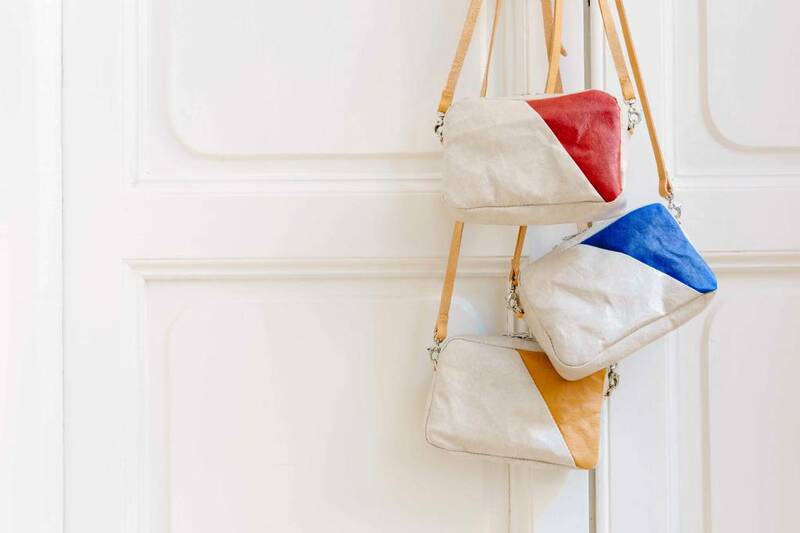 UASHMAMA paper handbags are so much lighter than leather but just as strond and washable. 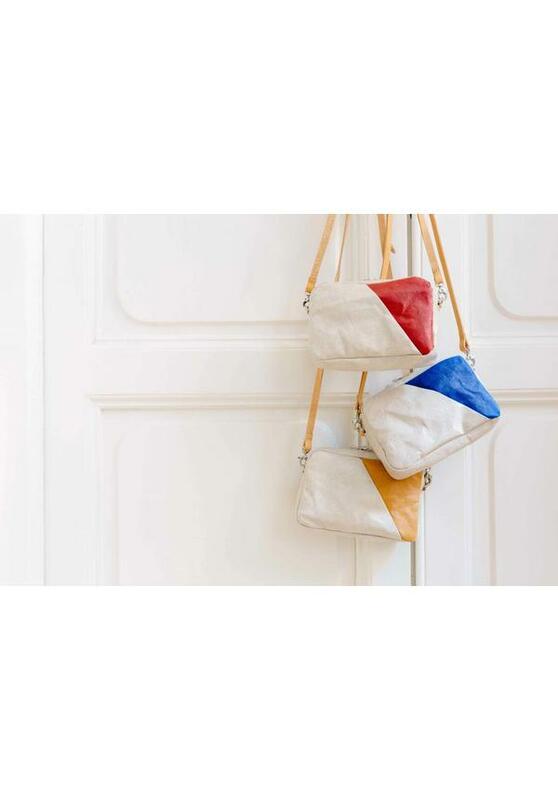 With a detachable and adjustable fine leather strap the mini shoulder pochette can be worn as a cross body bag. Or remove the strap and use as a clutch. Available in a variety of colors. A new updated version of our mini bag style.